Product information "Panasonic SC-HTB258EBK Bluetooth Soundbar with Wireless Sub"
The SC- HTB258EBK Sound Bar produces powerful, high-quality sound that is difficult to imagine considering its compact body. Combining two full-range speakers to surround the listener with clear acoustics, stereophonic effects, and incredible power.This superb sound brings even more realism to all your favorite content. 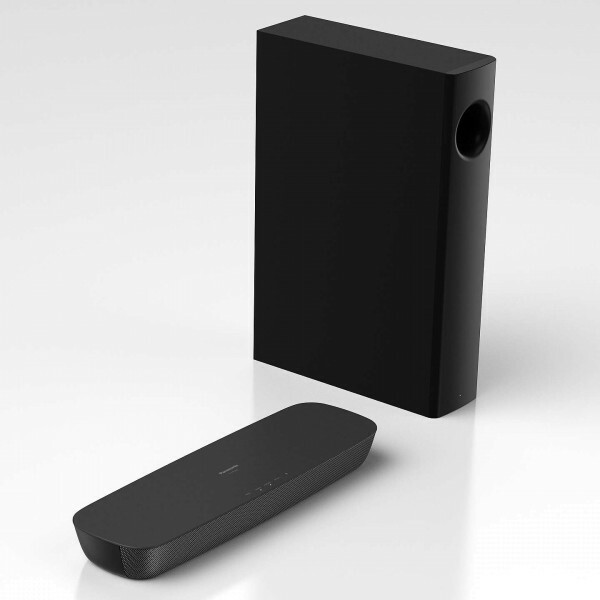 Related links to "Panasonic SC-HTB258EBK Bluetooth Soundbar with Wireless Sub"
Customer evaluation for "Panasonic SC-HTB258EBK Bluetooth Soundbar with Wireless Sub"